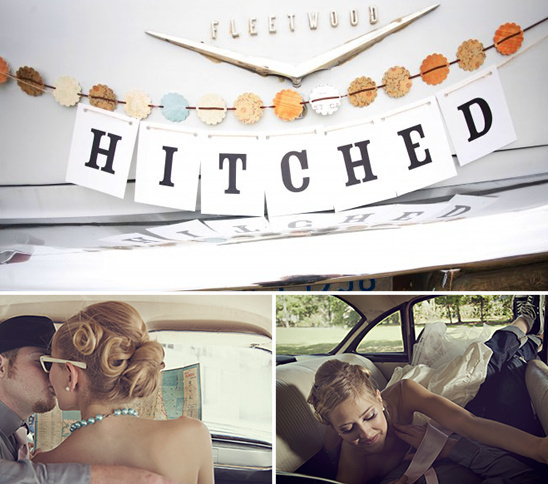 Who is looking for something really cute to add to a little extra something something to their wedding exit? 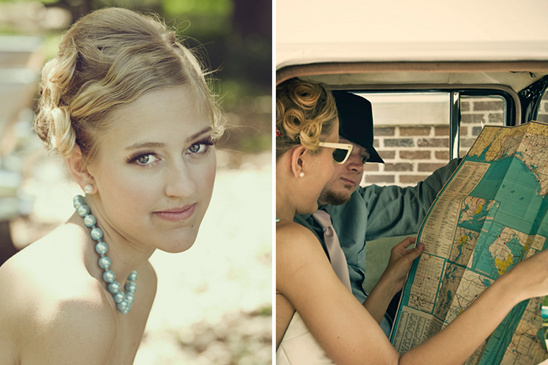 One of my favorite Florida wedding pals, Renee, shared with us this retro inspired wedding shoot from Loving Legacy Photography. 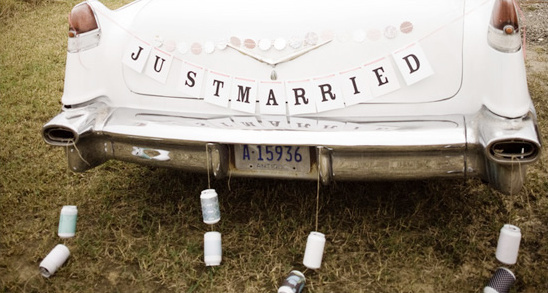 Which ties in perfectly with her retro car decoration kit. 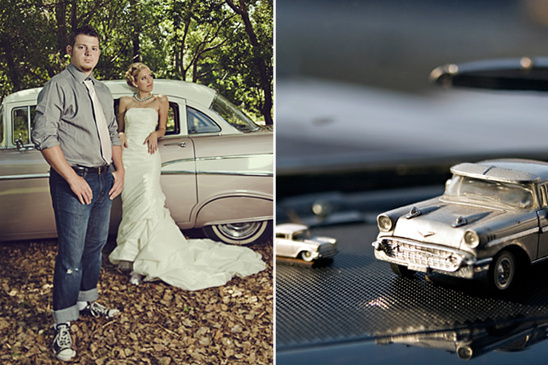 Over on A bride's ride you can make your own custom vintage car decorating kit! 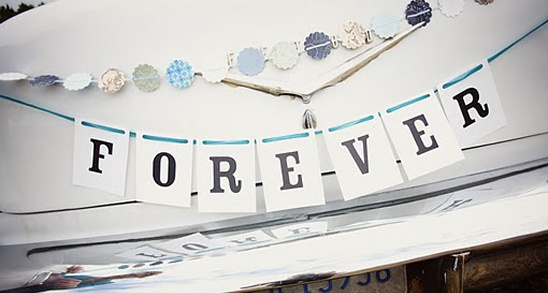 Just choose a flower garland color, then a banner, and they will even include a set of white painted cans with coordinating belly bands to make the set complete. How cute is that? 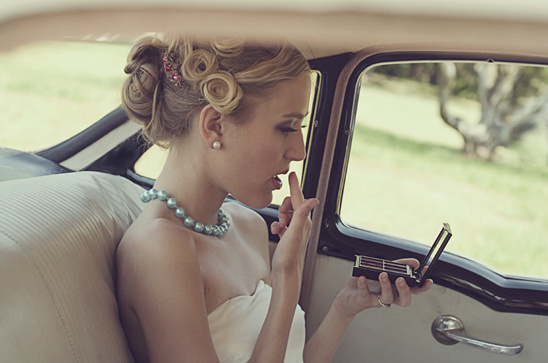 A bride's ride also is one heck of a bridal resource if you on the hunt for a vintage getaway car.